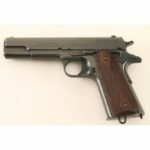 Dakota Plains Auctions kicks off the month of April on iCollector.com with two full days stocked up with great selections of antiques and all kinds of firearms. 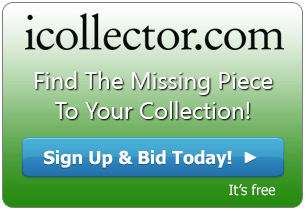 Over 750 Lots hit the auction block in fast paced action with bidders from around the world. 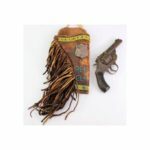 This auction has western items such as saddles, firearms, antique shotguns, country store items, and much more. Saturday April 1st opens up at 9AM Pacific Time and Sunday April 2nd, opens up at 10AM Pacific Time. A highlighted collectible from day one is a Fred Mueller round skirt saddle up for grabs at Lot 179. The full description by the auctioneer is: “Fred Mueller round skirt saddle almost full floral carved, double rigged, 13 1/4″ seat, swells 13 1/2″, nickel horn 2 1/2″ with 3″ cantle, remains very good including original lining, strings and cinch keeper replaced, overall good saddle for displayalmost full floral carved, double rigged, 13 1/4″ seat, swells 13 1/2″, nickel horn 2 1/2″ with 3″ cantle, remains very good including original lining, strings and cinch keeper replaced, overall good saddle for display”. 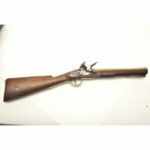 The star of the April 1st session is an Antique Stevens 12 ga double barrel shotgun. 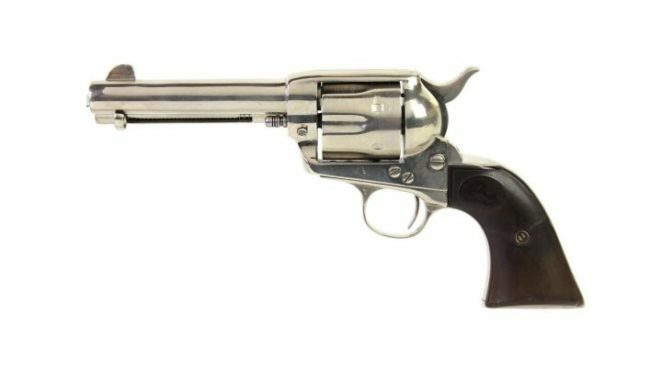 This vintage firearm has 30” barrels, and is checkered with walnut stocks. The original buttplate is intact, it has good functioning actions, an old period repair to hammer, and the bores are very good. 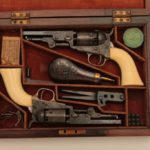 This shotgun opens for just over $8000 and is one of the most highly sought after pieces that Dakota Plains has brought to auction this year. A photo is available in the online catalog. Lot 461 on day two is a beautiful stoneware crock carefully preserved and ready for display. This is a Red Wing stoneware 5 gallon crock. It comes with a lid and the original wire handles showing no chips, cracks, or repairs on the outside. This opens for a great price of $65 and is great for value collectors looking to add to their personal collections. Dakota Plains Auctions will present a live audio and video feed to give the worldwide audience of bidders a great part in the auction day. Absentee bidding is currently available and registrations are open. Dakota Plains Auctions will be happy to answer any questions about the online catalog via telephone or email.